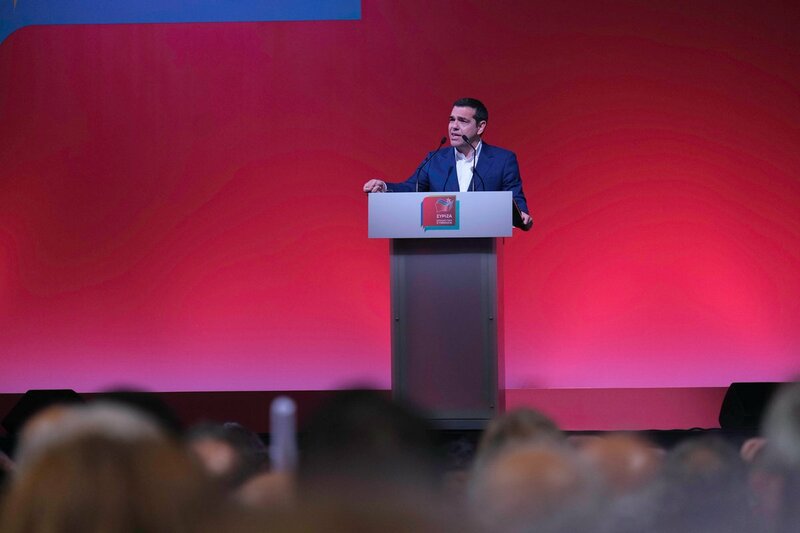 Prime Minister Alexis Tsipras addressed the first meeting of a newly-formed “Progressive Alliance” over the weekend, welcoming personalities and politicians from the wider center-left joining SYRIZA in the run-up to May’s European Parliament elections. “Today we are joining forces. At the beginning of a new victorious course for Greece and Europe. The period of divisions is over…” Tsipras told attendees at an event in Galatsi, Athens on Saturday. The focal points of the Greek premier’s speech were the recent Prespes Agreement to rename the Former Yugoslav Republic of Macedonia; and the government’s achievement of leading Greece to the successful conclusion of its third bailout program last August. Tsipras went on to set the tone and describe what May’s European elections will be about. He spoke of uniting progressive forces in Greece and Europe to tackle the conservative European political forces that handled the crisis, the xenophobic far-right and other extremists. Earlier, the PM had welcomed the leader of the Democratic Left (DIMAR) party, Thanassis Theocharopoulos, to the “Progressive Alliance”. 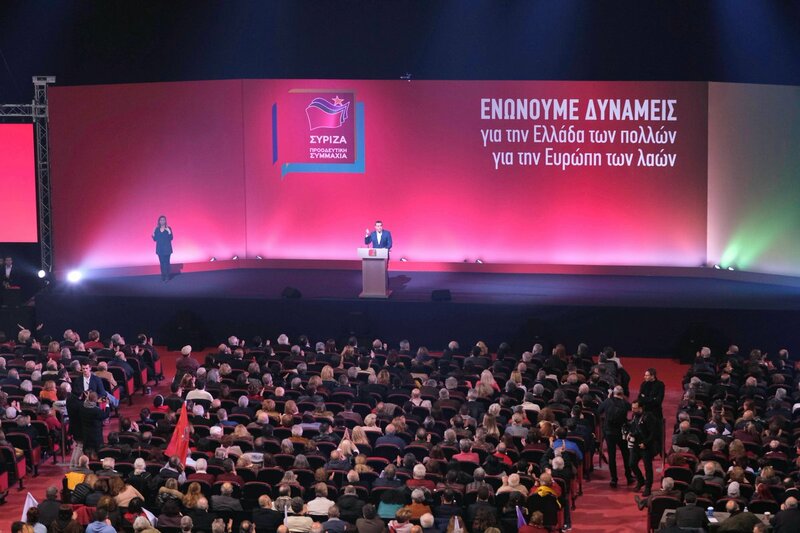 After effectively expelling about 30 senior members from the party and causing others to resign, Theocharopoulos announced a decision by the DIMAR central committee to join forces with SYRIZA ahead of the local and European elections next month. The party officially announced that reports of expulsions were “fake news”, pointing out that these members have already joined the Movement for Change and could not have stayed on with DIMAR. However, the members of the party that left argue that the decision to side with SYRIZA and the way it came about contradicts DIMAR party rules. “I welcome DIMAR to the social and political front of the progressive forces,” Tsipras said, adding that together the two parties will fight neoliberalism and the far right. Analysts point out that Tsipras’s “Progressive Alliance” is mainly aimed at former PASOK members, officials and former ministers and MPs – such as Yannis Ragousis, Stefanos Tzoumakas, Nikos Bistis and Mariliza Xenoyannakopoulou – in hope that SYRIZA will be well-positioned in this year’s general elections to attract center-left and moderate voters. Moreover, the PM is thought to be keen to occupy more ground on the socialist, centrist and center-left side of the political spectrum after the election – which conservative New Democracy is primed to win – thus limiting the influence of Fofi Gennimata’s Movement for Change.